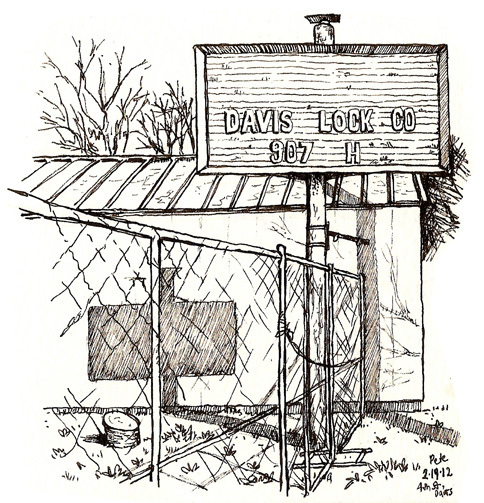 There’s a Davis building which has been around forever, and which I have drawn a couple of times now, Davis Lock and Safe on 4th St. Since drawing it I have had many local people (and non-locals too) how much they like that building; sure it’s empty, downtrodden, ramshackle, but it’s comforting, been there since they were a kid, cycle past it every day. Well, as of just a few weeks ago, it is gone! It was demolished, and now the land stands empty. I have no idea what will go in there. 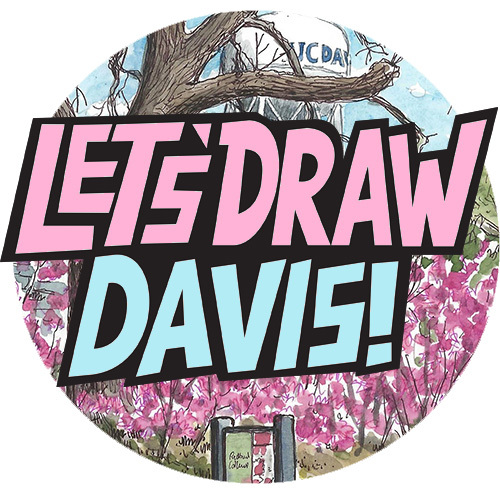 I went down to sketch on Sunday. 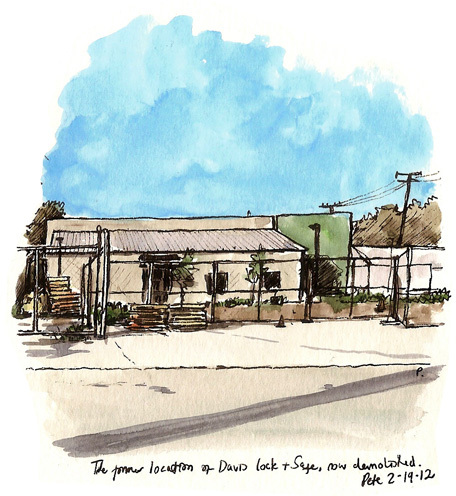 It’s useful for urban sketchers to document their environments, because once they change, they are changed for good. 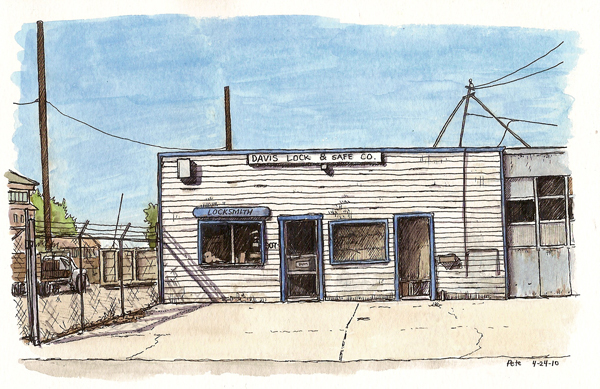 Below, this is the first sketch of the building I did in 2010. Bye bye, Lock and Safe!